When players purchase lottery tickets, they don’t expect lottery officials to contact him on the phone and inform them that they are the lucky winners. What usually happens, is that players check out the numbers themselves and if they realize that they’ve matched the winning ones, they get in touch with the lottery representatives. 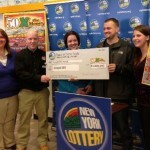 This is why one of the latest New York Lottery winners was surprised to receive a phone call informing him about the good fortune and didn’t take the announcement seriously. Dr. Stobel was at work when his wife answered the phone to hear from a female lottery official that they were the latest millionaires on the New York Lottery. As she had serious reasons to believe that this was nothing more than a scam attempt, she didn’t take the announcement seriously and even hang up several times. Eventually, she decided to let her husband know about the alleged jackpot and this is how Alan Strobal got to contact lottery officials. They swiftly confirm the fact that this was no joke, but a once in a lifetime opportunity and invited him to cash in his prize. That’s exactly what the doctor did a couple of days later and surprisingly enough, he decided to give the $6.2 million prize to his wife. Granted the money will remain in the family, it is still a surprising gesture and the lucky couple are to decide what to do with all these millions. The reason for why New York Lottery officials knew how to get in touch with the lucky doctor is that he bought the ticket in a subscription. This system has the advantage of convenience, yet there are not many players out there who use it routinely and that’s why many suspect that they are targeted by scammers. The doctor is certainly the biggest winner of the New York Lottery, but other players got lucky this month and most of them joined the club of millionaires. Hilton and Alicia Cancel from Floral Park Village won the 2nd tier prize, but this was hardly a consolation payout of $1 million. Andrew Roland won the same sum while purchasing a scratch off ticket and he will receive a net sum of $660k. Ne used to work as an installer of underground gas lines for National Grid but it is uncertain whether he will return to work. Not only the New York Lottery winners made millionaires this December, with the Powerball players also scooping nice payouts. Robert Blume just stepped forward to cash in a prize of $1 million and he told reporters that the biggest chunk of the money will go towards funding his kids’ education. He will probably donate a significant amount to animal shelters as they love these furry creatures. 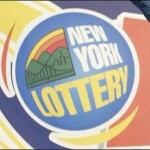 CHECK THIS OUT: Facts About the New York Lottery.